Pole and line vessels have decreased in number from between 100 and 120 operating in the 1980s to just 12 vessels operating in 2012. The major pole and line producers are Japan (125,000 tons of skipjack and yellowfin annually), Indonesia (100,000 tons) and the Maldives (100,000 tons). Between 100,000 and 150,000 – Number of tons of pole and line-caught skipjack and yellowfin on the international market annually. 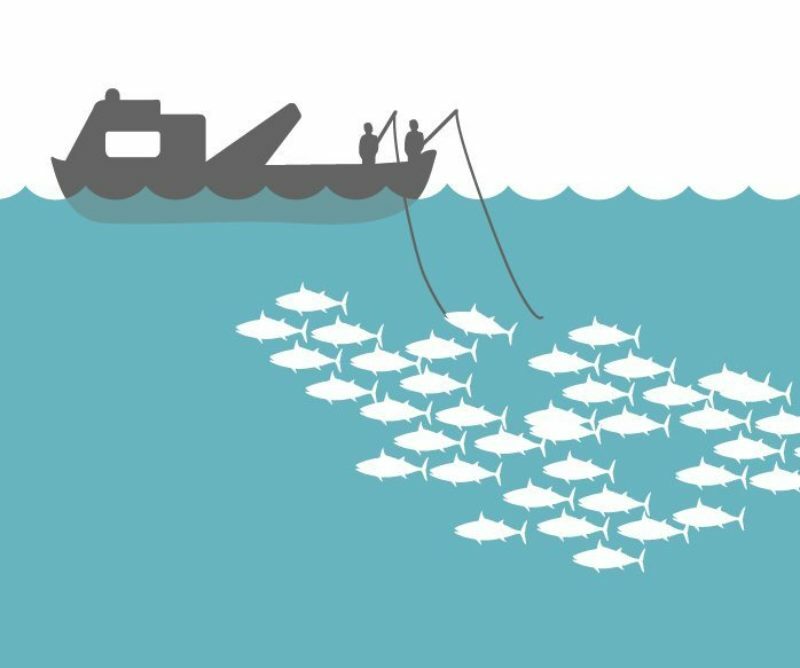 Pole and line fishing reduces bycatch of sharks, turtles and other larger marine animals. According to an ISSF-commissioned study, the pole and line method consumes 1,485 liters of fuel to land one ton of tuna.